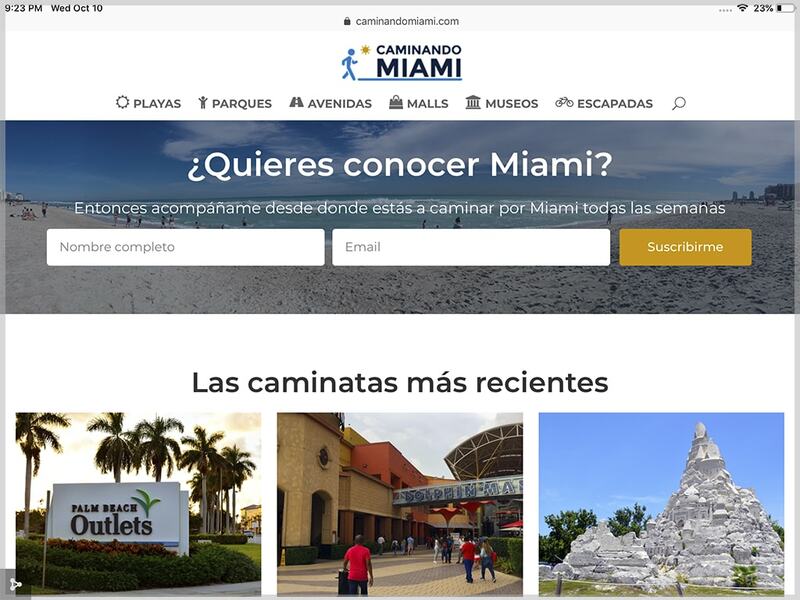 Caminando Miami is a personal blog in spanish about places to visit in Miami when in a vacation. Is targeted to hispanic speakers who might visit Miami and are looking for places to visit and things to do. Is written in a very personal way, so the autor use to explain his adventures in a funny way. It contain regular sections in each post, valuable information and is separate by categories to make it easy to find what the user could want to read.